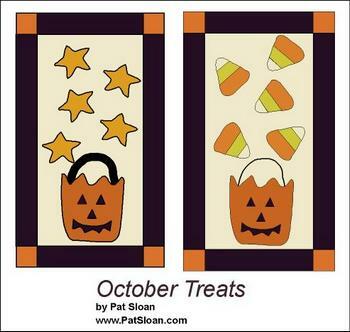 Note from Pat: How can I give away these patterns for free? I'm very pleased to be able to offer these free patterns to you. For me it's fun to share them and I just love seeing your finished projects. Please remember though I can only offer these because quilters like you also buy my books, fabric and designs from my web store and your local quilt shop. So be sure to check out the great products at my store, and buy a few while you're there. Thank you so much for your support. 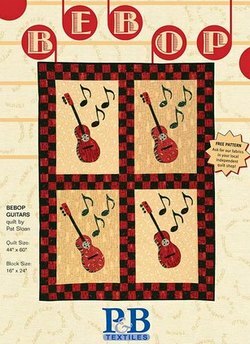 Click to open the PDF of the pattern. If you do not have Adobe Acrobat Reader loaded on your PC, click the Get Adobe Reader button download the free software. Enjoy! A memory of my 'Quilter's Tour of China'! .. Make it into a banner, runner, or a long skinny pillow! Try some wool, send me a PHOTO! 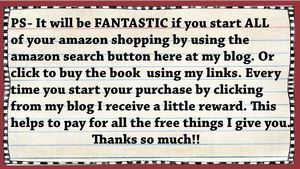 Click here to go to my blog, Amazon link on the right.